A friend pointed out a poem to me, which she thought of when she saw the Book card from this deck a few weeks ago. It made me smile, and think of the Cat and Mice cards, too. 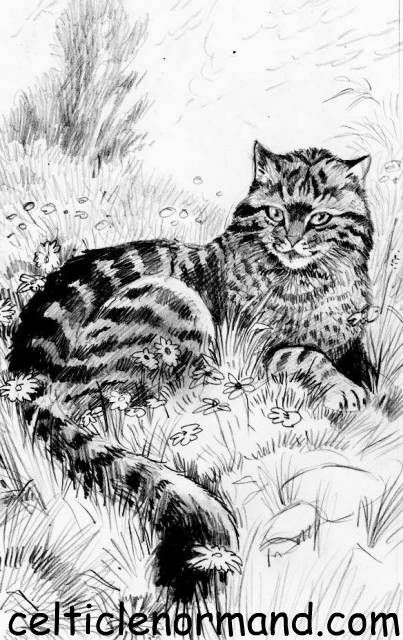 As this week's 'Making Of' post will form part of the Tarot Blog Hop on Saturday, 22nd June, I thought I'd share an English translation of the poem (courtesy of sky-net.org.uk) with you here, as well as a sketch for the Cat card!